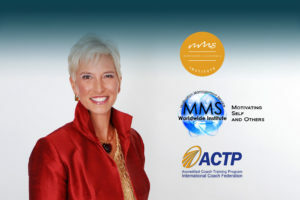 MMS Coach Training in 2019 Dates: All dates are required for graduation This Training is filled Jan 25, 26 and 27, 2019 (Friday, Sat, and Sun) 8:30AM-5: 30 PM Eight 2-hour Zoom Webinars Time and Dates TBD April 26, 27 and 28 (Friday, Sat, and Sun) 8:30-5: 30 PM Location: Private Residence, San Rafael, CA Save your Spot! MMS Coach Training in 2019 Dates: All dates are required for graduation August 9th, 10th, and 11th, 2019 (Friday, Sat, and Sun) 8:30AM-5: 30 PM Eight 2-hour Zoom Webinars Time and Dates TBD November 1st, 2nd, and 3rd. (Friday, Sat, and Sun) 8:30-5: 30 PM Location: Private Residence, San Rafael, CA Save your Spot!